I want to thank you for your hard work in subbing this show on your own. I look forward to finally seeing it all in its original form as opposed to its Saber Rider edit. 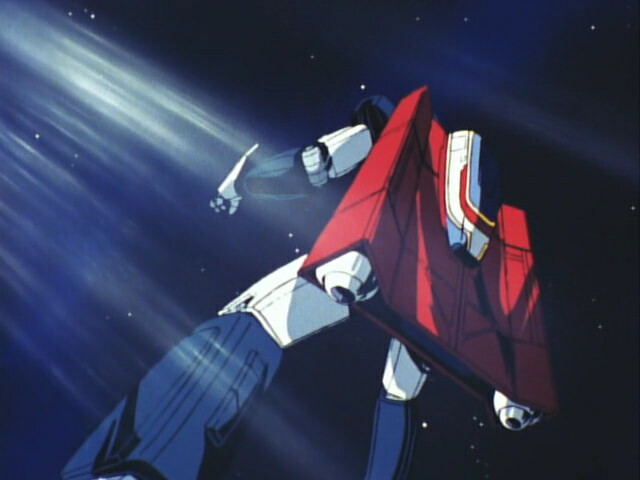 I’m currently in the 20s and while it is an interesting show, I have to admit that I see a lot of flaws its production and execution, which makes it all too clear to me why this show was at best a footnote in 80s mecha anime. Regardless, I’m having fun watching it. That being said, I’m sure someone is eventually going through your subs and will touch them up some more, mainly in script cleanup (like, you keep refering to the Deathcula without an article, like it’s an organization and not a species. “Deathcula launched their attack” instead of “The Deathcula have launched their attack”. Maybe it’s just me, but it always read a little odd). Regardless, I’m very thankful for your work. I’ll be interested to see what other old shows you might dig up for us. Yeah, I know I should have added the The in Deathcula, Maybe at some point I’ll do another revision and correct it. Can you please create a batch torrent if possible? Thanks for hard work if you intersting old anime i want watch Paris no Isabelle in English subtitles. Thanks for recomendation, it looks cool, I’ll check it out. Congratulations guys! You’ve made a great work that simply makes the day for an old-anime lover as me. ^_^ Just a question about such intriguing series: do you think to release a torrent-batch too? I wish you well and have a nice day then. Yes, the batch will be out in couple of days. I’m begging you: Please sub Toshou Daimos. It is a mecha classic. Thank you man, you’re the best! Thank you so much! I’ve just watched the last two episodes, they were pretty good! And I’ve almost thought there would be some dramatic event, but it would have been hard for US studio to edit it for Saber-Rider… Anyway, thank you very much! What an awesome job, thank you, thank you so much for this! For years I tried to find a subtitled version of Bismarck, (a few years ago some episodes popped up on youtube, but have since been deleted. I downloaded the old torrent episodes but couldn’t understand a thing ;P). Anyhoo… Big thanks for this, I’ll pick up Bonobono real soon too, it looks like a blast, and I’d like to ask if it would be OK to show the links on some groups on Facebook of Sci-Fi/Anime , KI know a bunch of people that would love this! Again, amazing work, I’ll keep seeding this until my computer dies ;D! Thank you for your hard work on this series, and I look forward (eagerly!) to your next project. There’s still soooo many shows from this era that have yet to be translated.